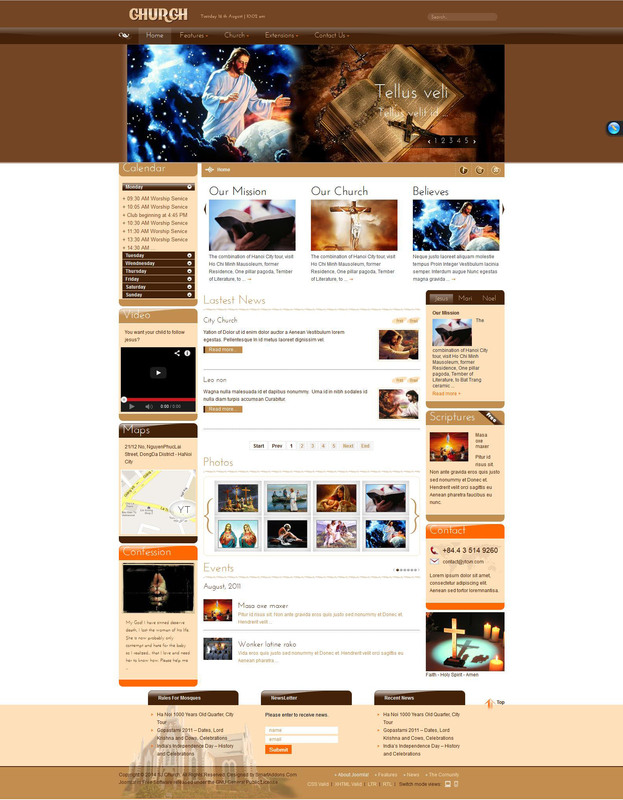 SJ Church - religious themes template for Joomla 2.5, Developed by SmartAddons. Design layout includes three predefined color schemes: orange, brown and dark brown. Template created on Yt Framework, supports all the latest versions of browsers and mobile platforms. In SJ Church has support for various extensions, such as: Yt Content Slick Slider, Yt News Ajax Tabs, Yt News Extra Slider, Yt News Basic, Yt So Article Slider, Yt Content Accordion.